Multiple channels in the contact center mean multiplied challenges. Not everyone likes calling a contact center. Even if you give your customer brisk, polite, and entirely helpful service ten times in a row, that customer is likely going to fear for the worst the next time he or she has to pick up the telephone. There are plenty of reasons for this. One is that people don’t usually remember the positive experiences nearly as vividly as the bad ones. Another is the built-in problem that contacting customer service often means something has gone wrong or something needs to be fixed or arranged. But the main reason is that today’s customers are savvy and demanding, expecting service that’s quick and relevant, and they simply don’t believe they are likely to get it. About 90% of the respondents to recent NICE customer survey rated receiving quick, as well as relevant resolution to their issue upon first contact as the top two factors in their ideal customer experience. 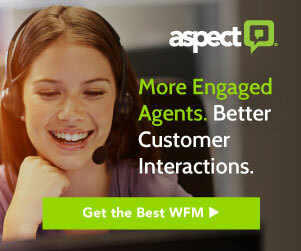 Most contact centers strive to achieve this, but it is done with little or no awareness of the customer’s intent or the context of the interaction. They do not have the tools to look at the most recent actions, past interactions in any channel, location, customer preferences, mood, etc. These factors make planning and managing any contact center inherently challenging. Add to that an increasingly complex multi-channel environment, the challenges are multiplied. Few organizations succeed in transferring the customer’s context and details smoothly between one channel and another. Those that do so are able to provide relevant service and enjoy positive relationships with their customers. There is a good deal of behind-the-scenes planning and technology involved in knowing, if you are an airline for example, that I always like a window seat, and making that information readily available at all the touch points I use. It is even more important and challenging if you can carry across current and changing information, as soon as it becomes apparent, based on what a customer has just said or what you have been able to infer from hints in the conversation. Consider that while checking my mileage with an agent a few days ago, I mentioned that I had broken my leg and was in a cast. Today, as I book a new flight, the booking agent tells me that since he knows I’m in a cast, he recommends a more comfortable aisle seat. This would be a great case of customer service. As I book and rebook tickets, make arrangements for excess baggage, review the meal menu options and check in online, I may switch back and forth several times between telephone, website, chat, and the airline’s mobile app on the iPhone. My experience will be significantly better if the airline is capable of identifying me, knowing my preferences up front – and most importantly, what is my current intent, based on recent activity across other communication channels and insights from analysing them. If I find at every point of contact with the airline, my broken leg has been recognized and taken into consideration, I will quickly realize that the customer service is exceptional. Customer-centric organizations must have the ability and technology to transfer the context of a customer interaction so that the customer journey across channels can be smooth and effective. For the customer contacting the contact center, that should translate to a relevant, short, and helpful interaction. For the organization, it should lead to improved operational efficiency, financial performance and customer loyalty. 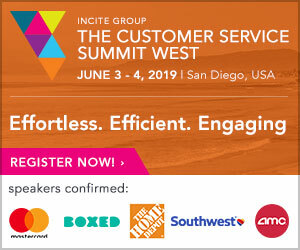 Customers today expect – in fact, demand – quick and relevant service, and this ability to carry context across from one channel to another is a key element in improving the customer experience. In today’s business environment this has become a need, not a luxury. It’s another enabler of impacting every customer interaction. This article was originally a blog post titled ‘Multiple channels mean multiplied challenges’ by President of NICE EMEA, Benny Einhorn, responsible for the region’s sales, marketing and services organization, having vast experience managing sales and support activities, global marketing strategy and initiatives, corporate development and technology innovation in various hi-tech and telecom companies. 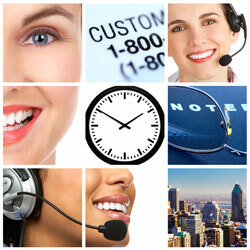 Are You in the Customer Service Fast Lane?